I picked up this cheery yellow Kate Spade notepad in Florida a few months ago, and it has become one of my favorite list notepads yet. You can find it for 9.00 here or here. I live Kate Spade's paper.. i've been using her notepads for a whle now! 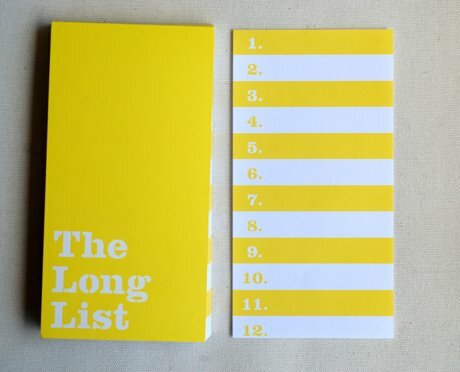 after working for kate spade for 2 years, i too have a "long list" of this i love about their paperie. only room for 12? that's not long enough! :) so cute! i love these! they're so cute that i just bought two of them! I saw this at a Kate's Paperie the other day - they're charming!